A new turibulum (incense burner) for the occasion. It’s the anniversary of my vows to Apollon. He and I have been together in this relationship we have for 8 years now… 8 years? Has it really been that long? This year, though, I was told it was time to renew our vows. I have, admittedly, been avoiding thinking of my actual vows. It’s not that I am avoiding this situation, but it’s just that even after all this time I sometimes feel the immensity and weight of having Him be part of my life at this level. How did this come about? When did this start? I’m not sure I really have answers to those questions. That’s not an easy question to answer. Me, who regularly doesn’t know exactly what she wants of her life on a very basic level anyway. I prefer to dream and plan before blindly feeling my way through the actual execution of that. I can’t do that this time. This isn’t to say I’m not excited and happy. This is a joyous occasion! But just like a mortal marriage, it’s a contract that isn’t to be entered into lightly. The shrine is slowly being prepared. 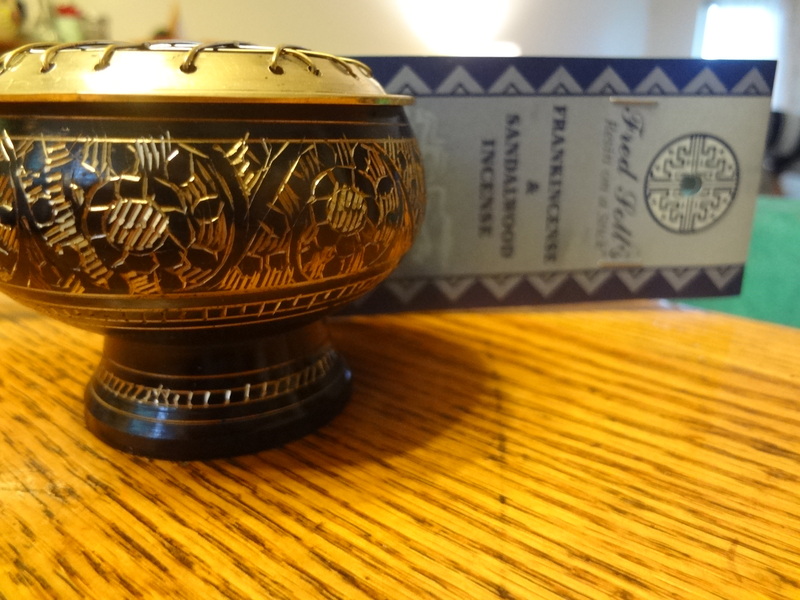 I was given the gift of resin incense and a beautiful turibulum (burner) today by my mother. So here we go. Countdown to the 7th. There will be pictures to come, I’m sure.